Norton Louis Philip Knatchbull, 8th Baron Brabourne (1947-), Television and film producer. Sitter in 5 portraits. Amanda Patricia Victoria (née Knatchbull), Lady Ellingworth (1957-), Social worker and director of NGOs; Wife of Charles Vincent Ellingworth; daughter of 7th Baron Brabourne. Sitter associated with 4 portraits. Hon. Michael John Ulick Knatchbull (1950-), Son of John Ulick Knatchbull, 7th Baron Brabourne. Sitter in 1 portrait. 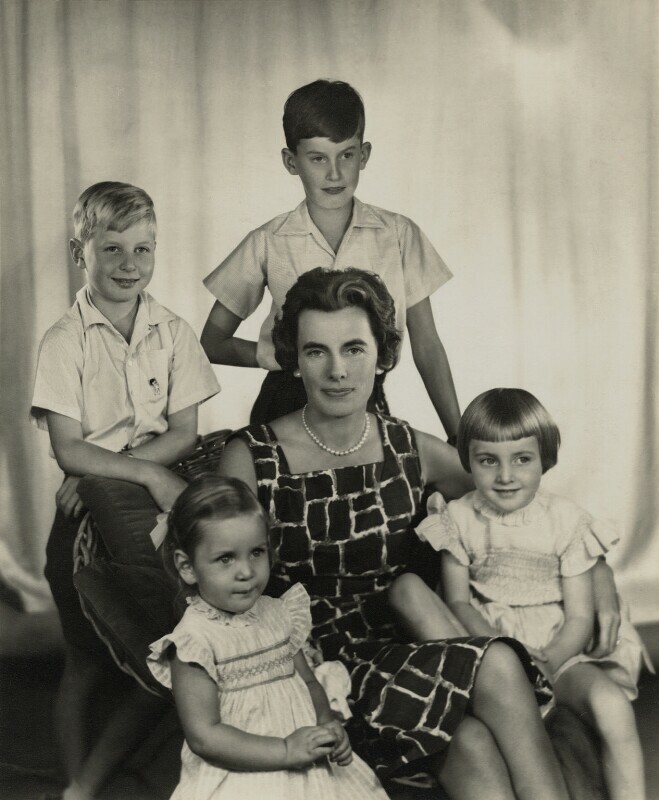 Patricia Edwina Victoria Knatchbull, 2nd Countess Mountbatten of Burma (1924-2017), British peer; wife of 7th Baron Brabourne; daughter of 1st Earl Mountbatten of Burma. Sitter in 3 portraits. Hon. Joanna Edwina Doreen Zuckerman (née Knatchbull) (1955-), Former wife of Baron Hubert du Breuil, and later wife of Azriel Zuckerman; daughter of 7th Baron Brabourne. Sitter in 3 portraits. Madame Yevonde (1893-1975), Photographer. Artist associated with 320 portraits, Sitter in 8 portraits.